Plus, the Fire Chief is just one of many bureau heads to leave and Merkley waffles on running for president. 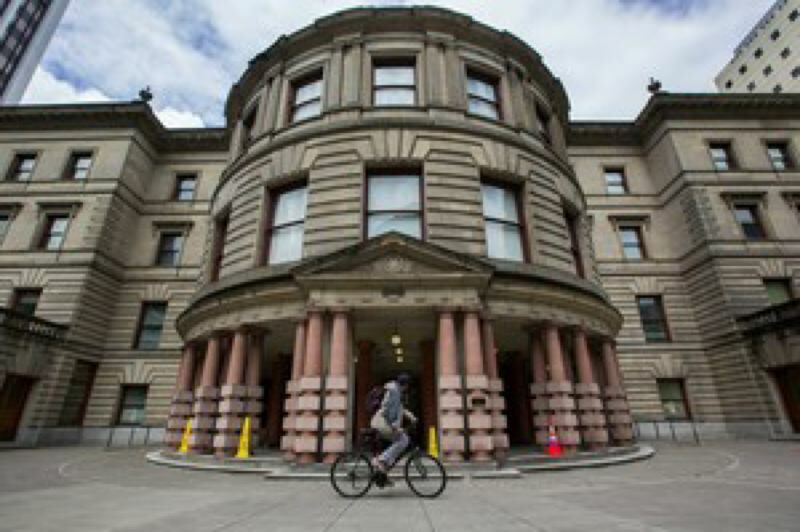 Although it is not unusual for high-ranking Portland employees to move on, two abrupt resignations hinted at disarray in City Hall last week. First, Portland Fire Chief Mike Myers announced Thursday he was leaving to take a job on the Oregon Coast. His unexpected resignation came the day after new Commissioner Jo Ann Hardesty took control of Portland Fire & Rescue. Although Oregon Public Broadcasting cited sources who said Myers' departure had nothing to do with Hardesty, the timing suggested otherwise. Then, on Friday, Mayor Ted Wheeler's office announced that Chief of Staff Michael Cox was leaving after just seven months in that position. Cox faced some controversy, too, over his romantic involvement with a staffer. The City Attorney's Office said Cox complied with city policy, but it made national news when The Associated Press picked up the story. Fire Chief Mike Myers' departure says more about the current state of city government than Michael Cox's decision to step down as the mayor's chief of staff. Multiple agency heads have left since Ted Wheeler took office a little more than two years ago. New hires include Police Chief Danielle Outlaw, Bureau of Development Services Director Rebecca Esau, Prosper Portland Director Kimberly Branam and Office of Community & Civic Life Director Suk Rhee. Still to be permanently replaced are the heads of the Bureau of Emergency Management, the Bureau of Planning and Sustainability, the City Budget Office, the Office of Equity and Human Rights, the Portland Bureau of Transportation, and Portland Parks & Recreation. Oregon U.S. Sen. Jeff Merkley is sending out mixed signals on whether he intends to run for president in 2020. Merkley has said he is considering the race and has been visiting states with early primary elections, like Iowa. But on Dec. 2, he told Oregon Public Broadcasting that the high cost of such a campaign could keep him from running. "You would really have to build a vast operation to be competitive given the design of our primary system, and that would require an all-out effort. And so it's balancing that effort against putting all my efforts in through the Senate," OPB reported Merkley as saying. But that same day, Merkley's office released a sweeping legislative package that looks a lot like a presidential campaign platform. It includes bills taking on voter suppression, gerrymandering, dark money and unequal representation. The release called it a "sweeping blueprint to restore American democracy."